For now, the Great Game pits China together with Russia, Turkey and Iran against the United States, India, Japan and Australia. The two camps compete for influence, if not dominance, in a swath of land that stretches from the China Sea to the Atlantic coast of Europe. The geopolitical flashpoints are multiple. They range from the China Sea to Afghanistan, Pakistan, Syria, Turkey, Iran, and Central European nations and, most recently, far beyond with Russia, China and Turkey supporting embattled Venezuelan president Nicolas Maduro. On one level, the rivalry resembles Risk, a popular game of diplomacy, conflict and conquest played on a board depicting a political map of the earth, divided into forty-two territories, which are grouped into six continents. Multiple players command armies that seek to capture territories, engage in a complex dance as they strive for advantage, and seek to compensate for weaknesses. Players form opportunistic alliances that could change at any moment. Potential black swans threaten to disrupt. Largely underrated in debates about the Great Game is the fact that increasingly there is a tacit meeting of the minds among world leaders as well as conservative and far-right politicians and activists that frames the rivalry: the rise of civilisationalism and the civilizational state that seeks its legitimacy in a distinct civilization rather than the nation state’s concept of territorial integrity, language and citizenry. The trend towards civilisationalism benefits from the fact that 21st century autocracy and authoritarianism vests survival not only in repression of dissent and denial of freedom of expression but also maintaining at least some of the trappings of pluralism that can include representational bodies with no or severely limited powers, toothless opposition groups, government-controlled non-governmental organizations, and degrees of accountability. It creates the basis for an unspoken consensus on the values that would underwrite a new world order on which men like Xi Jinping, Vladimir Putin, Recep Tayyip Erdogan, Victor Orban, Mohammed bin Salman, Narendra Modi and Donald Trump find a degree of common ground. If anything, it is this tacit understanding that in the shaping of a new world order constitutes the greatest threat to liberal values such as human and minority rights. By the same token, the tacit agreement on fundamental values reduces the Great Game to a power struggle over spheres of influence and the sharing of the pie as well as a competition of political systems in which concepts such as democracy are hollowed out. Intellectually, the concept of civilisationalism puts into context much of what is currently happening. This includes the cyclical crisis over the last decade as a result of a loss of confidence in leadership and the system; the rise of right and left-wing populism; the wave of Islamophobia and increased anti-Semitism; the death of multi-culturalism with the brutal crackdown on Turkic Muslims in Xinjiang as its most extreme expression; the Saudi and Russian alliance with ultra-conservative Christian groups that propagate traditional family values; and Russian meddling in Western elections. Analysts explained these developments by pointing to a host of separate and disparate factors, some of which were linked in vague ways. Analysts pointed among others to the 2008 financial crisis, jihadist violence and the emergence of the Islamic State, the war in Syria, and a dashing of hope with the rollback of the achievements of the 2011 popular Arab revolts. These developments are and were at best accelerators not sparks or initiators. Similarly, analysts believed that the brilliance of Osama Bin Laden and the 9/11 attacks on New York’s World Trade Towers and the Pentagon in Washington was the killing of multi-culturalism in one fell and brutal swoop. Few grasped just how consequential that would be. A significant eye opener was the recent attack on the mosques in Christchurch. New Zealand much like Norway in the wake of the 2012 attacks by supremacist Andre Breivik stands out as an anti-dote to civilisationalism with its inclusive and compassionate response. The real eye-opener, however, was a New Zealand intelligence official who argued that New Zealand, a member of the Five Eyes intelligence alliance alongside the United States, Britain, Australia and Canada, had missed the emergence of a far or alt-right that created breeding grounds for violence because of Washington’s singular post-9/11 focus on what popularly is described as Islamic terrorism. That remark casts a whole different light on George W. Bush’s war on terror and the subsequent war against the Islamic State. Those wars are rooted as much in the response to 9/11, the 7/7 London attacks and other jihadist occurrences as they are in witting or unwitting civilisationalism. The same is true for the various moves in Europe that have put women on the frontline of what in the West are termed cultural wars but in reality are civilizational wars involving efforts to ban conservative women’s dress and endeavours to create a European form of Islam. In that sense Victor Orban’s definition of Hungary as a Christian state in which there is no room for the other is the extreme expression of this trend. It’s a scary picture, it raises the spectre of Samuel Huntington’s clash of civilizations, yet it is everything but. Fact is that economic and geopolitical interests are but part of the explanation for the erection of a Muslim wall of silence when it comes to developments in Xinjiang, the Organization of Islamic Countries’ ability to criticize the treatment of Muslim minorities in various parts of the world but praise China for its policy, Israeli Prime Minister Benyamin Netanyahu’s alliance with a man like Victor Orban and his joining the right-wing chorus that has turned Jewish financier and philanthropist George Soros into a bogeyman or the rise of militant, anti-Muslim Buddhism and Hinduism. In fact, the signs of this were already visible with the alliance between Israel and the evangelists who believe in doomsday on the Day of Judgement if Jews fail to convert to Christianity as well as the recent forging of ties between various powerful Islamic groups or countries like Saudi Arabia and the UAE and the evangelist movement. He also embraced the myths of an epic, centuries-long struggle between the white Christian West and Islam with the defeat of the Ottomans in 1683 at the ports of Vienna as its peak. Inscribed on Tarrant’s weapons were the names of Serbs who had fought the Ottomans as well as references to the battle of Vienna. To Tarrant, the Ottomans’ defeat in Vienna symbolized the victory of the mythical notion of a world of inviolable, homogeneous nations. “The idea that (medieval societies) are this paragon of unblemished whiteness is just ridiculous. It would be hilarious if it weren’t so awful,” said Paul Sturtevant, author of The Middle Ages in the Popular Imagination. Much like popular perception of the battle for Vienna, Tarrant’s view of history had little relation to reality. A multi-cultural empire, the Ottomans laid siege to Vienna in cooperation with Catholic French King Louis XIV and Hungarian Protestant noble Imre Thokoly as well as Ukrainian Cossacks. Vienna’s Habsburg rulers were supported not only by Polish armies but also Muslim Tartar horsemen. “The Battle of Vienna was a multicultural drama; an example of the complex and paradoxical twists of European history. There never has been such a thing as the united Christian armies of Europe,” said historian Dag Herbjornsrud. Literary scholar Ian Almond argues that notions of a clash of civilizations bear little resemblance to the “almost hopelessly complex web of shifting power-relations, feudal alliances, ethnic sympathies and historical grudges” that shaped much of European history. “The fact remains that in the history of Europe, for hundreds of years, Muslims and Christians shared common cultures, spoke common languages, and did not necessarily see one another as ‘strange’ or ‘other,’” Almond said. That was evident not only in the Battle of Vienna but also when the Ottomans and North Africa’s Arab rulers rallied around Queen Elizabeth I of England after the pope excommunicated her in 1570 for breaking with Catholicism and establishing a Protestant outpost. Elizabeth and her Muslim supporters argued that Protestantism and Islam were united in their rejection of idol worship, including Catholicism with its saints, shrines and relics. In a letter in 1579 to Ottoman sultan Murad III, Elizabeth described herself as the “most mighty defender of the Christian faith against all kind of idolatries.” In doing so, she sought to capitalize on the fact that the Ottomans had justified their decision to grant Lutherans preferred commercial treatment on the basis of their shared beliefs. Similarly, historian Marvin Power challenges the projection of Chinese history as civilizational justification of the party leader’s one-man rule by Xi Jinping and Fudan University international relations scholar Zhang Weiwei. 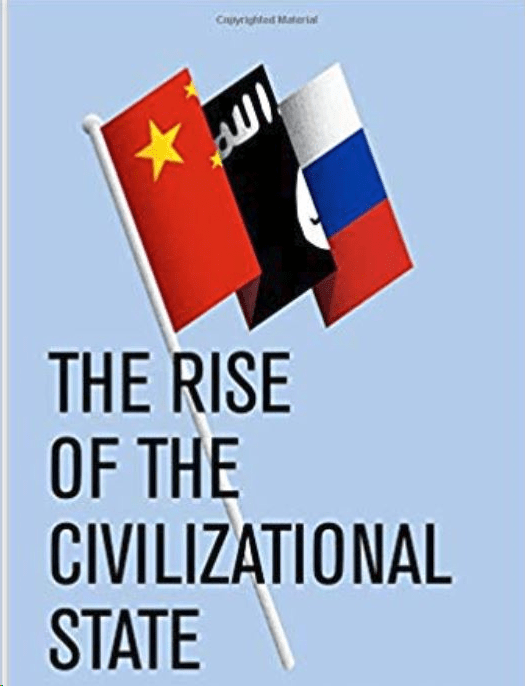 Amazon’s blurb on Zhang’s bestselling The China Wave: Rise of the Civilizational State summarizes the scholar’s rendition of Xi Jinping’s vision succinctly: “China’s rise, according to Zhang, is not the rise of an ordinary country, but the rise of a different type of country, a country sui generis, a civilizational state, a new model of development and a new political discourse which indeed questions many of the Western assumptions about democracy, good governance and human rights.” The civilizational state replaces western political ideas with a model that traces its roots to Confucianism and meritocratic traditions. In his sweeping study entitled China and England: The Preindustrial Struggle for Justice in Word and Image, Powers demonstrates that Chinese history and culture is a testimony to advocacy of upholding individual rights, fair treatment, state responsibility to its people, and freedom of expression rather than civilisationalism, hierarchy and authoritarianism. Powers extensively documents the work of influential Chinese philosophers, writers, poets, artists and statesmen dating back to the 3rd century BC who employed rational arguments to construct governance systems and take legal action in support of their advocacy. Powers noted that protection of free speech was embedded in edicts of the Han Emperor Wen in the second century BC. The edicts legitimized personal attacks on the emperor and encouraged taxpayers to expose government mistakes. The intellectuals and statemen were the Chinese counterpart of contemporary liberal thinkers. In a lot of ways, Russia and the Russian Orthodox Church have understood the utility of civilisationalism far better than others and made it work for them, certainly prior to the Russian intervention in Syria. At a gathering several years before the intervention, Russia achieved a fete that seemed almost unthinkable. Russia brought to the same table at a gathering in Marrakech every stripe of Sunni and Shiite political Islam. The purpose was not to foster dialogue among the various strands of political Islam. The purpose was to forge an alliance with a Russia that emphasized its civilizational roots in the Russian Orthodox Church and the common values it had with conservative and ultra-conservative Islam. To achieve its goal, Russia was represented at the gathering by some of its most senior officials and prominent journalists whose belief systems were steeped in the values projected by the Church. To the nodding heads of the participating Muslims, the Russians asserted that Western culture was in decline while non-Western culture was on the rise, that gays and gender equality threaten a woman’s right to remain at home and serve her family and that Iran and Saudi Arabia should be the model for women’s rights. They argued that conservative Russian Orthodox values like the Shariah offered a moral and ethical guideline that guarded against speculation and economic bubbles. The Trump administration has embarked on a similar course by recently siding in the United Nations Commission on the Status of Women with proponents of ultra-conservative values such as Saudi Arabia, Bahrain, Iraq and several African countries. Together they sought to prevent the expansion of rights for girls, women, and LGBT people and weaken international support for the Beijing Declaration, a landmark 1995 agreement that stands as an internationally recognized progressive blueprint for women’s rights. The US position in the commission strokes with efforts by conservative Christians to reverse civilizational US courts decisions in favour of rights for women, minorities, members of the LGBT community, Muslims and immigrants and refugees. It is what conservative historian and foreign policy analyst Robert Kagan describes as the war within traditionally liberal society. It is that civilizational war that provides the rationale for Russian meddling in elections, a rational that goes beyond geopolitics. It also explains Trump’s seeming empathy with Putin and other autocrats and authoritarians. The US alignment with social conservatives contributes to the rise of the civilizational state. Putin’s elevation of the position of the church and Xi’s concentration of absolute power in the Communist Party strengthens institutions that symbolize the rejection of liberal values because they serve as vehicles that dictate what individuals should believe and how they should behave. These vehicles enable civilisationalism by strengthening traditional hierarchies defined by birth, class, family and gender and delegitimizing the rights of minorities and minority views. The alignment suggests that the days were over when Russian foreign minister Sergei Lavrov trumpeted that the West had lost “its monopoly on the globalization process” because there was a “market of ideas” in which different “value systems” were forced to compete. Similarly, conservative American author Christopher Caldwell asserted that Orban’s civilizational concept of an authoritarian Christian democracy echoed the kind of democracy that “prevailed in the United States 60 years ago” prior to the civil rights movement and the 1968 student protests. Orban’s Hungary epitomizes the opportunism that underlies the rise of the civilizational state as a mechanism to put one’s mark on the course of history and retain power. In Orban’s terms, civilizational means not Christianity as such but those Christian organizations that have bought into his authoritarian rule. Those that haven’t are being starved of state and public funding. Civilisationalism’s increased currency is evident from Beijing to Washington with stops in between. Trump’s and Steve Bannon, his former strategy advisor’s beef with China or Russia is not civilizational, its about geopolitical and geo-economic power sharing. In terms of values, they think in equally civilizational terms. In a speech in Warsaw in 2017, Trump declared that “the fundamental question of our time is whether the west has the will to survive” but assured his audience that “our civilization will triumph.” Bannon has established an “academy for the Judeo-Christian west” in a former monastery in the Italian town of Collepardo. The academy intends to groom the next generation of far-right populist politicians. It is initiatives like Bannon’s academy and the growing popularity of civilizational thinking in democracies, current and erstwhile, rather than autocracies that contribute most significantly to an emerging trend that transcends traditional geopolitical dividing lines and sets the stage for the imposition of authoritarian values in an emerging new world order. Interference in open and fair elections, support for far-right and ultra-conservative, family-value driven Western groups and influence peddling on both sides of the Atlantic and in Eurasia at large by the likes of Russia, China and the Gulf states serve the purpose of Bannon and his European associates. Civilizationalists have put in place the building blocks of a new world order rooted in their value system. These blocks include the Shanghai Cooperation Organization (SCO) that groups Russia, China, Kazakhstan, Kyrgyzstan, Tajikistan and Uzbekistan. The grouping is centred on the Chinese principle of non-interference in the sovereign affairs of others which amounts to support for the region’s autocratic regimes. The SCO’s Tashkent-based internal security coordination apparatus or Regional Antiterrorist Structure (RATS) has similarly adopted China’s definition of the “three evils” of terrorism, extremism, and separatism that justifies its brutal crackdown in Xinjiang. Arab autocracies like Saudi Arabia, the United Arab Emirates and Egypt have stopped short of justifying their rule in civilizational terms but have enthusiastically embraced the civilizational state’s rejection of western notions of democracy and human rights. One could argue that Saudi Arabia’s four decade long global propagation of ultra-conservative strands of Islam or the UAE effort to mould an Islam that is apolitical and adheres to the principle of obedience to the ruler is civilizational in nature. Islamic law scholar Mohammed Fadel argues that one reason why Arab autocracies have not overtly embraced civilisationalism even though they in many ways fit the mould is the absence of a collective memory in post-Ottoman Arab lands. To explicitly embrace civilisationalism as a concept, Arab states would have to cloak themselves in the civilizational mantle of either pan-Islam or pan-Arabism, which in turn would require regional integration. One could argue that the attempt by Saudi Arabia and the UAE to impose their will on the Middle East for example with the boycott of Qatar is an attempt to create a basis for a regional integration that they would dominate. The rise of the civilizational state with its corporatist traits raises the spectre of a new world order whose value system equates dissent with treason, views an independent press as the ‘enemy of the people’ and relegates minorities to the status of at best tolerated communities with no inherent rights. It is a value system that enabled Trump to undermine confidence in the media as the fourth estate that speaks truth to power and has allowed the president and Fox News to turn the broadcaster into the United States’ closest equivalent to state-controlled television. Trump’s portrayal of the media as the bogeyman has legitimized populist assaults on the press across the globe irrespective of political system from China and the Philippines to Turkey and Hungary. It has facilitated Prince Mohammed’s effort to fuse the kingdom’s ultra-conservative interpretation of Islam with a nationalist sentiment that depicts critics as traitors rather than infidels. In the final analysis, the tacit understanding on a civilisationalism-based value system means that it’s the likes of New Zealand, Norway and perhaps Canada that are putting up their hands and saying not me instead of me too. Perhaps Germany is one of the countries that is seeking to stake out its place on a middle ground. The problem is that the ones that are not making their voices heard are the former bastions of liberalism like the United States and much of Europe. They increasingly are becoming part of the problem, not part of the solution.